It is with deepest sadness that we announce our husband and father, Uldarico “Rico” Pedrosa’s, battle with pancreatic cancer ended on November 19, 2018. Rico died at the Victoria General Hospital at the age of 64 years old. He is survived by his wife Adelina Pedrosa (nee Bernardo); daughters Marilou, Kristie (Daniel), and Rika (Timothy); grandson Malakai; his siblings Manuel (Josephina), Angelito (Nora), Nelia (Jun), and Eva (Tony); and a number of nieces, nephews, and friends. Rico was born on June 3, 1954 in Sta. Messa, Manila, Philippines to Jose Pedrosa and Rosario Pedrosa (nee Garcia). 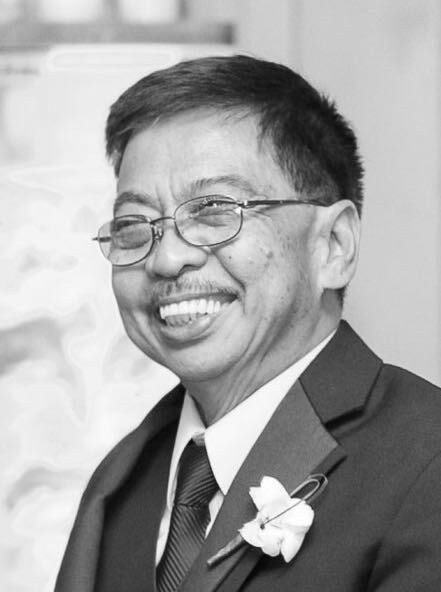 He worked as a Technician at San Miguel Corporation until 1990, when he moved with his wife and children to Winnipeg, Canada. Rico worked as a Supervisor at Kraus Global. He enjoyed fishing, camping, singing and watching the Winnipeg Jets and Blue Bombers with his daughters and wife. He always kept busy fixing everything from appliances and vehicles to broken hairbrushes and heels. Even in illness, he spent the last year renovating the kitchen for his wife. He will be deeply missed by his family and friends and all who knew him. The family would like to thank Dr. Eren Beshara, Dr. Paul Daeninck and the incredible nurses at the Buhler Cancer Center at the Victoria Hospital. Lamay will be held on Friday November 23rd, 6:00 pm to 12:00 am with Vigil Prayers at 7:30 pm at Thomson “In the Park” Funeral Home. The Funeral Mass will be celebrated on Saturday, November 24th at 10:30 am in St Gianna Beretta Molla Roman Catholic Church, 15 Columbia Drive. Fr. Darrin J.G. Gurr, presiding. In lieu of flowers please make donations to the Statue of Mary Fund – St. Gianna’s Church. Make a Donation to the Grain of Wheat Fund in memory of Pedrosa, Uldarico G.